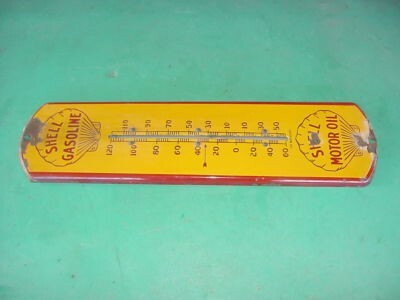 This Shell Motor Oil thermometer would have been used in a garage or at a gas station. The thermometer keeps with the colors of red and yellow. There is a large shell logo at the top and the bottom.